Contemporary meets craftsman in this 3 BR 2 BA home. This split bedroom floor plan has upgrades inside & out! 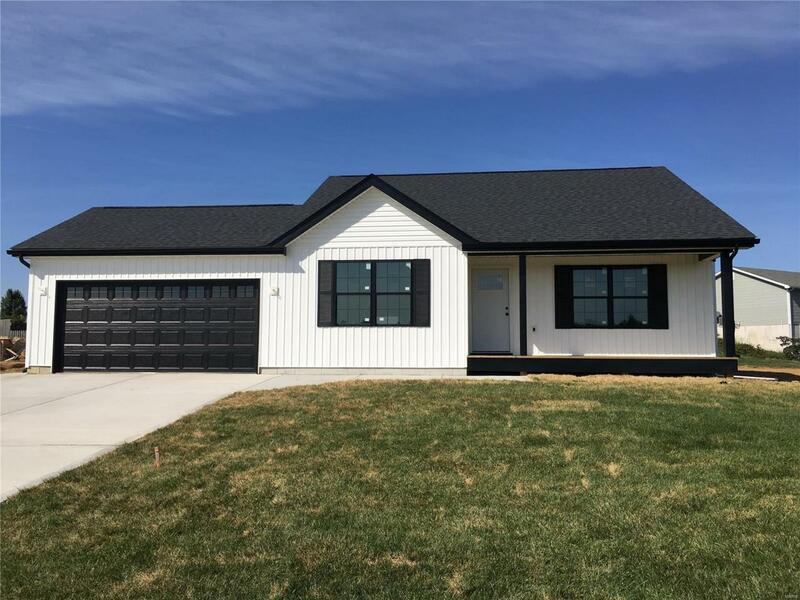 Large 20x5 covered from porch invites you into a vaulted family rm with impressive wood beam accented with tons of recessed lighting with upgraded white trim package, on trend laminate flooring and ship lap accent wall with electric fireplace. You will find in the kitchen Shaker Style cabinets with soft close feature & hardware, center island all surrounded with granite tops & accented with gorgeous subway tile backsplash. Stainless steel appliances include stove/range, space saver microwave, Dishwasher. Master suite features large walk in closet and spa like full bath. Large custom deck to entertain & relax on. Ceiling fans in every room! MFL! Upgraded black vinyl Energy Star tilt in windows, rough-in for bathroom in the lookout basement! Backfilled with rock, not dirt! Enjoy the Community Fishing Lake! THESE UPGRADES ARE STANDARD! ***Pictures are of similarly built home. Listing provided courtesy of Main St. Real Estate. Listing information © 2019 Mid America Regional Information Systems, Inc.